Ground X, the blockchain subsidiary of South Korean mobile messaging giant Kakao, on Monday unveiled plans to launch a testnet version of its proprietary blockchain platform Klaytn. The firm introduced a position paper highlighting Klaytn’s technical architecture and direction on its official homepage for the first time, inviting interested players to join the platform. According to Ground X, Klaytn has prioritized user experience and developer experience in its design, under an aim to allow end users to experience blockchain technology in the most seamless way. This includes removing traditional inconveniences of blockchain tech. Wallets, private keys and cryptograph addresses have been eliminated to increase user access. Klaytn also boasts high speed and performance for the decentralized apps it holds. The block interval, which takes an hour for Bitcoin and several minutes for Ethereum, has been shortened to less than 1 second with up to 1,500 transactions per second, according to Ground X. To aid developers, Klaytn also features tutorials and toolkits necessary for blockchain-based service development. They include Klaytn Wallet, which allows users to safely guard and transfer their tokens created on Klaytn, KlaytnScope, which lets users monitor all activities on Klaytn including block creation and transaction, and BLASQ, the incentivized blockchain co-work community where users’ blockchain-related questions and answers are rewarded with tokens. The Klaytn testnet is currently open to approximately 10 partners in Korea and around the world. Those interested in using the testnet -- an alternative blockchain used for testing purposes -- can sign up on the official Klaytn website. The mainnet blockchain network is scheduled to launch in the first quarter of next year. 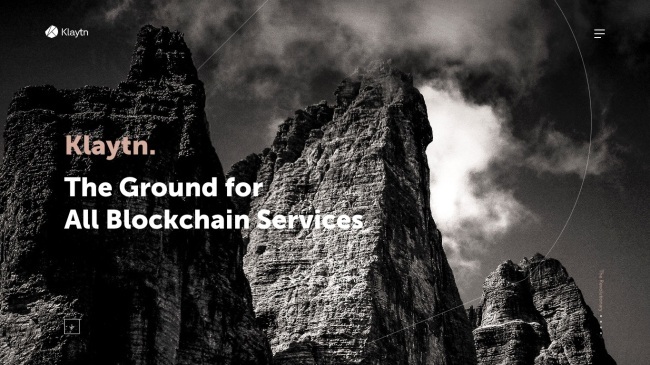 “The popularization of blockchain requires providing a practical blockchain service for mass adoption thereby validating the value and utility of blockchain technology,” Ground X CEO Jason Han said in a statement.